A supramolecular catalytic system for hydrolytic decomposition of toxic phosphorus acid esters has been obtained on the basis of a cationic surfactant with a morpholinium head group and sodium polystyrene sulfonate. Self-organization of the new binary catalytic system has been studied by tensiometry, conductometry, pH-metry, spectrophotometry, and dynamic and electrophoretic light scattering, and its aggregation thresholds have been determined. High solubilizing ability of the system with respect to a hydrophobic guest has been revealed. 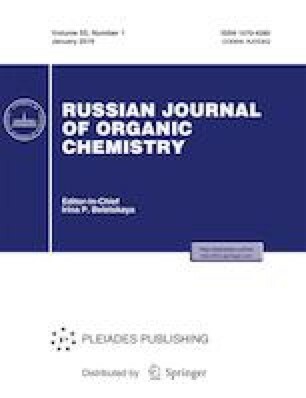 The morpholinium surfactant has been found to accelerate the hydrolysis of phosphonates up to 50 times in comparison to the reaction in water. The apparent hydrolysis rate constant in the presence of the polyelectrolyte decreases threefold due to reduction of the reactant binding constants.